Customer Appreciation Month is EngineThemes’ way of demonstrating to customers how much we love them. Therefore, every order placed in March will be given discounts from our partners. Click here for more details! 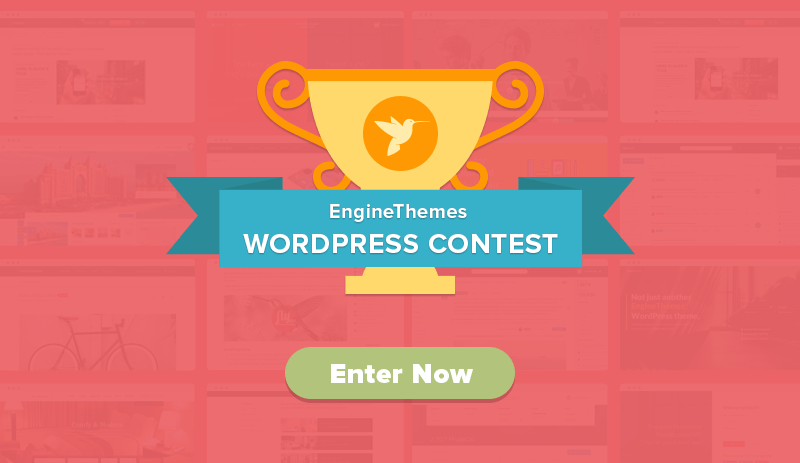 As a part of EngineThemes Customer Appreciation Month, we are so happy to launch the first ever Customer Contest. Simple. You just need to submit your site using our themes in the form below. We will choose the top sites and put them on Facebook and Twitter for a community vote. March 13th – March 22nd: Receiving submitted information from participants. Do you have a website built using our themes? If yes, join this contest now! Haven’t you had a website yet? So, go and make one! Visit here! Customer Appreciation Month is EngineThemes’ way of demonstrating to customers how much we love them. Therefore, every order placed in March will be given discounts from our partners. Click here for more details! As a part of EngineThemes Customer Appreciation Month, we are so happy to launch the first ever Customer Contest. How it works: Simple. You just need to submit your site using our themes in the form below. We will choose the top sites and put them on Facebook and Twitter for a community vote. March 13th - March 22nd: Receiving submitted information from participants. Do you have a website built using our themes? If yes, join this contest now! Haven’t you had a website yet? So, go and make one! Visit here!